Bremen - Starting with Fortuna Düsseldorf's trip to the Weser, SV Werder Bremen are ushering in a new era at the club after the dynamic duo of sporting director Klaus Allofs and head coach Thomas Schaaf were split up following a 13-year collaboration at the Northern outfit. "Klaus wanted to go in a different direction and that's okay. In football there are always changes taking place and now there have been changes at Werder Bremen," said Schaaf, who will be desperate for his side to put the drama of last week behind them as they look to narrow the gap on the European qualification places with a win over struggling Düsseldorf. Football is back on the agenda and after losing 2-1 to Schalke 04 on Matchday 11, in typically 'Werderesque' fashion, a return to winning ways will be crucial in clearing the air and claiming the points their performances deserve. 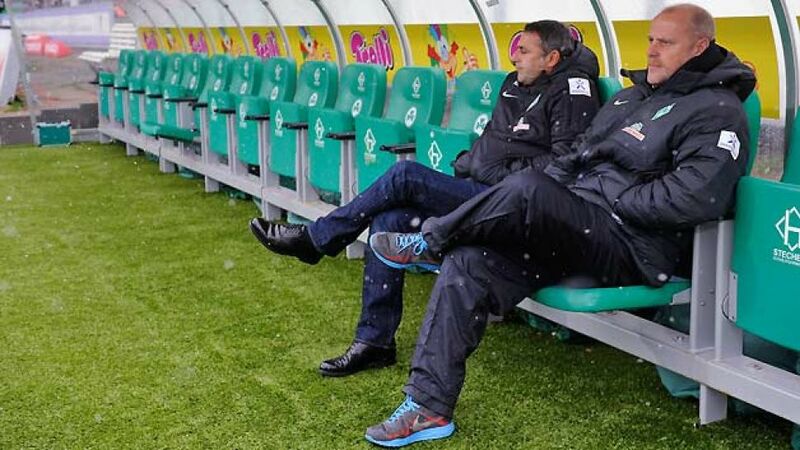 "I think we had to overcome a lot, including from a sporting perspective, and it's those things that we've focused on," explained the 52-year-old Bremen boss, who is wary of the threat Fortuna pose to his side. "You've got to hand it to Düsseldorf, they've surprised a lot of teams already this season. You can see the spirit within that squad." Fortunately for Werder their own injection of youth over the summer makes them just as tricky an opponent. Sebastian Prödl could deny Assani Lukimya a chance to feature against the side he left in the summer, meaning that Clemens Fritz is the only player unavailable to Schaaf. The green-whites have won twelve of their 21 encounters with Düsseldorf, losing just twice, and though both of Fortuna's victories this season have come on the road, a six-game winless streak coming into this fixture suggests their freefall has only just begun. The newly-promoted side, so impressive with their disciplined performances at the start of the season, have shipped 16 goals since Matchday 5 and are now struggling to plug the holes in their leaky backline. "We've got to be courageous going forward from an organised platform," said head coach Norbert Meier, who spent nine years of his Bundesliga career playing on the Weser in the 1980's. "We have to capitalise more on our opponents' moments of vulnerability. It's crucial that we always keep our heads up." Düsseldorf need to start picking up points against teams outside of the relegation zone if they're to have any chance of survivng this season, but Meier is aware that won't be easy against Bremen. "Werder have a squad that are very young and boast a lot of high-quality players. I'm confident that they'll be competing for the UEFA Europa League places come the end of the season." Though Stelios Malezas, Oliver Fink and Dani Schahin are on the treatment table, club captain Andres Lambertz, the only player to feature in Germany's top four flights for one team, should return to the starting line-up this weekend.